Check out the video for a better look! 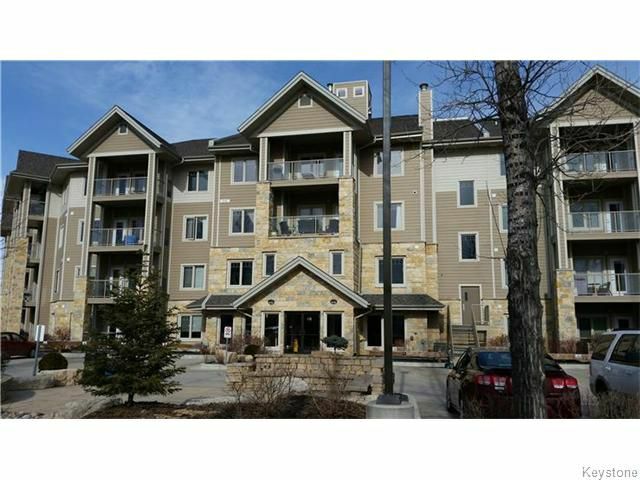 This beautiful main floor one bedroom condo in the high demand "Legend" complex. 10 foot ceilings. Spacious kitchen and living room combo with garden door leading out to your own private patio overlooking the centre courtyard. Large master bedroom with ample closet space. Large master bath as well as a separate convenient main floor laundry room with stacking washer and dryer included. All appliances are in excellent condition and are included. Unit comes with one heated underground parking stall. The complex boasts a beautiful common area with grand entrance foyer with curved staircase, library, billiard room, sauna, and large party room for your family functions and celebrations. Natural gas hook up for bbq. Pet friendly too! Possession can be immediate if needed.